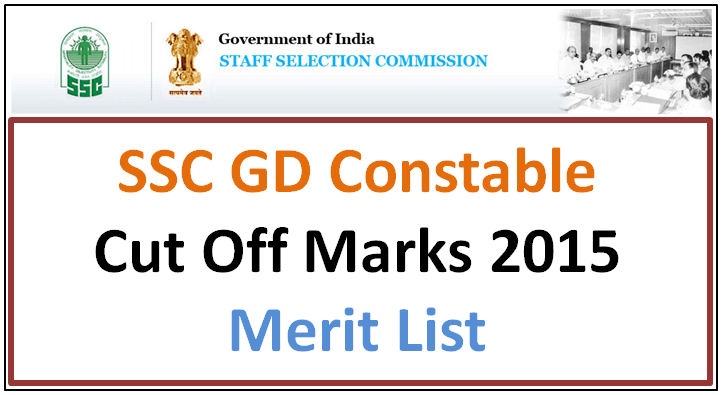 SSC GD Constable exam 2015: The Staff Selection Commission (SSC) has declared the results for Constables (GD) in CAPFs, NIA and SSF and Rifleman (GD) in Assam Rifles Examination, 2015. Exam was conducted on October 4 and re-examination was conducted on November 22. The candidates have applied to fill a total of 62,390 vacant posts of constable (GD) in as Border Security Force (BSF), Central Reserve Police Force (CRPF), Indo-Tibetan Border Police Force (ITBP), Central Industrial Security Force (CISF), Assam Rifles (AR) and Central Armed Police Force (CAPF). The candidates will be selected on the basis of their performance in the Physical Standard Test (PST)/Physical Efficiency Test (PET), written examination and medical examination.